What about taking a grand entry to your next corporate event? Want to hire a grand limousine for the same? Let us help you with this. 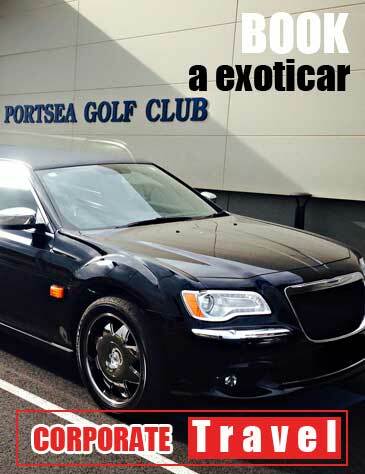 Exoticar is the answer to reach your destination in a luxury car. We have been providing with the most economical limousines options in Melbourne. From Mercedes E-Class Limo in Sliver, Porsche Cayenne Limo in Black, or the Chrysler 300 Limousines with Jet Doors, we have them under one roof. When you wish to travel in a limousine car in Melbourne we serve you the best. Exoticar can make your dream to ride in luxury come true. We have the most executive limousines. All of these are driven by highly experienced chauffeurs. We are a renowned name in Melbourne. You can count on us for affordable and best riding experience. Book us for comfortable ride of your choice. WHAT YOU CAN EXPECT FROM OUR CORPORATE CAR HIRE SERVICES? We understand how important those special events can be. To make such days more memorable and comfortable we are here with corporate car hire services in Melbourne. We are active all across Melbourne and nearby area. With wide range of limousines we offer extra number of choices. Proper safety assurance comes as an extra add-on. We have a super friendly customer care staff. Luxury corporate car hire services are available 24×7. Our services are absolutely safe and deadline driven. Corporate car hire services available at the most reasonable prices. Exoticar is strongly committed to provide high quality corporate travel services in Melbourne. We promise to be your reliable and luxury traveling partner. We are now a call away. Call up today. WHY TRUST THE BEST CORPORATE LUXURY CAR HIRE IN MELBOURNE? We specialize in the luxury transfers for corporate and business clients. Exoticar focuses on eliminating the unnecessary stress. You can now book a comfortable transfer solution with us. To make you travel in style with our huge range of executive cars. To understand your immediate changing business needs. To leave an impact wherever you go. To meet the time challenge for your varying demands. Are you a corporate traveler? Or a business owner? Our chauffeurs can help you ride in comfort and luxury. Give us a call for quick and efficient services.